It's been one year since one of the coolest shops in Bangor opened. 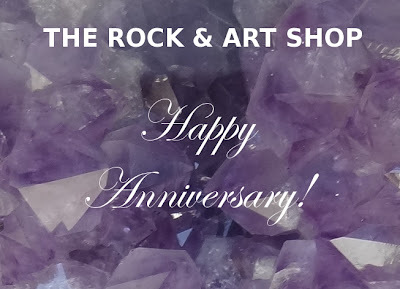 The Rock & Art Shop located downtown is celebrating its one year anniversary with light refreshments, prizes, and a chance to win an amethyst geode. The celebration begins Sunday, July 1st from 10am-3pm. Each customer on the day will be entered into a raffle to win the purple rock of art. Good luck!